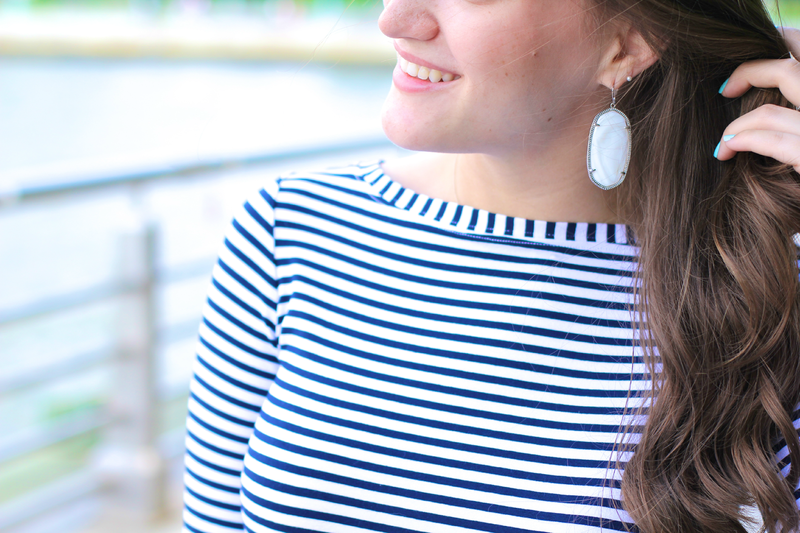 Before heading to the beach vacation, I snagged this Mott 50 navy and white stripe dress. Before I found Mott 50 on Instagram, I never knew that there was such thing as sun-protective clothing! In the past few years, I've really started to care more about my skin and how bad sun damage can become (I wish my 16-year-old self cared). I've started to wear a sun-protective serum everyday to help, but now with this dress, I can really protect my skin all over. When I was able to shop around at different boutiques throughout The Cape, Nantucket and Martha's Vineyard, I found Mott 50 all over. I guess people already knew about this and are loving it just as much as I am. This dress is super comfortable and lightweight, which is great for the summer days. I highly recommend checking out the rest of their clothing! Your dress is too cute! Love the stripes!